Readers of this blog have known for years that Hezbollah is moving money to Lebanon, through banks in the Republic of Panama, but new information confirms that the specially designated global terrorist organization actually maintains an office in Panama City. If I have this information, then certainly Panamanian law enforcement authorities also are aware of it. The question remains, why does Panama allow Hezbollah terrorist financing operations to operate ? Are payments being made to corrupt law enforcement officials, or are their relatives in the private sector earning large profits from their participation in the transfers of funds ? Whatever the reason, there is no gatekeeper on duty in Panama, when it comes to suppression of terrorist financing activities. The Anti-money Laundering and Suspicious Case Unit of the Central Bank of the United Arab Emirates has issued a Circular* requiring that accounts and investments of three named individuals be frozen, under the orders of the Public Prosecutor of Dubai. While I can find no public announcement of financial crime charges, one should assume that there is an active investigation in progress. Whether they are fugitives from justice is not known. (1) Samar Elyas Assaf: Said to be a Lebanese female bank executive. I note that there is an a Samar Assaf who works in the UAE at HSBC Bank Middle East Ltd., but am unable to confirm that she is the same individual as the one mentioned in the Alert. 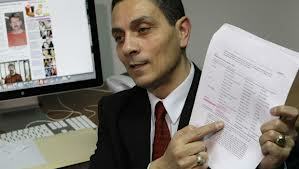 (2) Armin Esmail: Said to be a US resident, and an executive director at a property firm. Court records show that an individual with this name was convicted twice in the US, on narcotics charges, and unsuccessfully fought his subsequent removal from America. Again, no confirmation is available. See possibly an alias: Armin Eivanaki Esmaili. (3) Haseeb Khan Israfeel Khan: listed as a Pakistani national. No further information is available. Should any of these individuals have accounts at your bank, it is humbly suggested that you contact your bank counsel forthwith. According to reliable local sources, the Republic of Panama is under intense international pressure to outlaw bearer shares for corporations, in any form. You may recall that recent legislation allows them to continue, albeit under certain restrictions*. The parties named as among those pushing for reform of Panamanian corporation law are the United States, Canada, and the European Union. Bearer share fraud, where a trusted intermediary, generally a banker or financial services professional, literally steals the company, and its assets, but taking possession of the shares of stock, and exercising control over them, is widespread, and have been seen to targets Europeans and North Americans living or working in Panama. 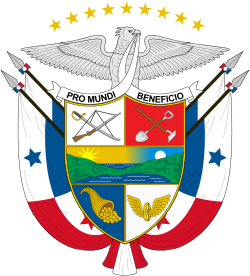 Some of the Panamanian judges require the owner of a bearer share certificate, if he or she was not issued the stock at the time of incorporation, to produce a Bill of Sale that itemizes the assets, but inPanama's notoriously corrupt court system, justice is not often served for the complaining party. Will we have to wait until Panama has a new president for reform ? We cannot say, but so long as Panama allows widespread bearer share fraud, by failing to change its laws, risk levels for foreign businessmen will remain elevated. The news, that certain developing countries are exerting political pressure upon Barclays Bank to reverse its decision to close MSB accounts, where the companies transfer funds to countries that have no effective AML/CFT, is extremely disturbing. If expats in the UK have sufficient money to send remittances home, using money service businesses, they can certainly join the ranks of those who have bank accounts, and send funds through real financial institutions, with real compliance. Most of them enjoy a decent standard of living, and I do not buy the argument that they cannot afford to maintain a bank account. Some third-world MSBs, as we have learned, are controlled or owned by criminal organizations; others are making extortion payments to global terrorist organizations. Many MSBs have non-transparent ownership, which conflicts with banks' responsibility to "Know their MSB." I fully understand the arguments for keeping the MSB accounts open, but I respectfully disagree; the risk of facilitating money laundering, or of facilitating terrorist financing, trumps the expat public's needs for a less expensive funds transfer resource, especially when we see that designated terrorist groups either take money from them, or use their facilities to operate. Foreign politicians, leave Barclays alone, please. 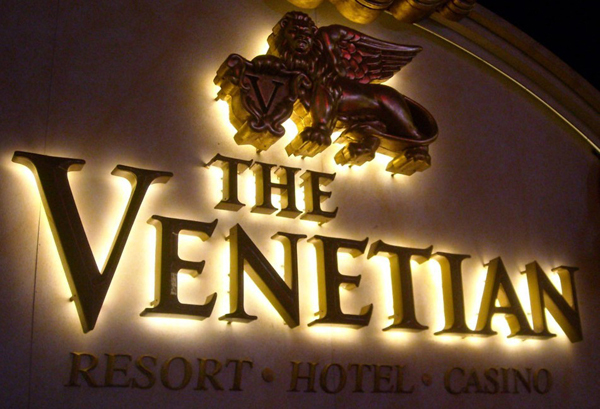 The Las Vegas Sands Corp., operator of the Venetian-Palazzo Hotel in Las Vegas, has entered into a non-prosecution agreement, with the United States Attorney's office in Lois Angeles, whereby the casino will turn over $47,400,300, which represents profits the casino earned from a high-stakes gambler, their most profitable client, who was later charged with narcotics trafficking in the US and Mexico. 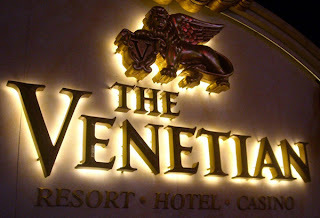 The casino failed to file any SARCs, the Suspicious Activity Reports for casinos, upon Zhenli Ye Gon, its largest, all-cash, up-front gambler, when it knew, or should have known, that he had no business or lawful occupation, and that there was no reasonable explanation for his transactions. 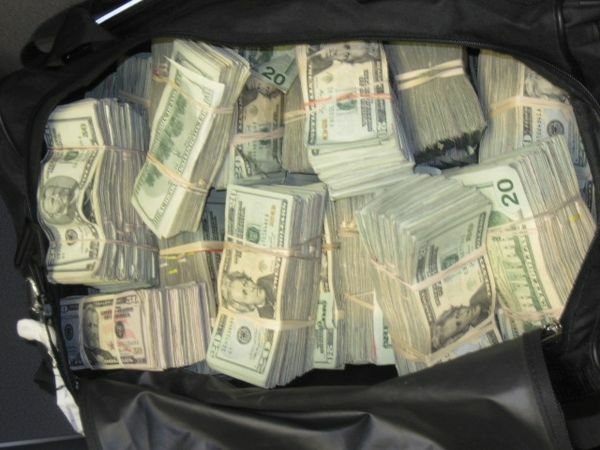 If the name sounds familiar, Ye Gon is the individual from whose residence in 2009 Mexican law enforcement seized $207m , all in cash, which is, to my memory, the largest bulk cash seizure in the Western Hemisphere. Ye Gon, a Chinese businessman with a factory in Mexico, reportedly shipped precursor chemicals for Methamphetamine manufacturing from China. (1) Failed to investigate the customer, his companies, and his source of funds. (2) Failed to conduct deposit-pattern analysis of incoming front-money payments, and payments for previous advances of credit. (3) Failed to understand and appreciate the layering and structuring methods that the client participated in. (4) Failed to appreciate that there was no link between the client and the shell companies that he claimed to own and control, and from whom incoming wire transfers originated. (5) Failed to be suspicious of multiple wire transfers on the same day, or consecutive days. (6) Failed to be suspicious of the client's use of multiple third-party fund sources, especially seven different Mexican casas de cambios. (7) Failed to be suspicious when the client routed payments through Mexico & the casino's Hong Kong subsidiary, for credit in Las Vegas. (8) Failed to conduct an investigation when the client requested to use a non-casino name account to route funds into the casino. My favorite items are the client's $45m wire transfer into casino accounts, and the fact that he deposited $13m in cashier's checks at the casino; We call this compliance malpractice. 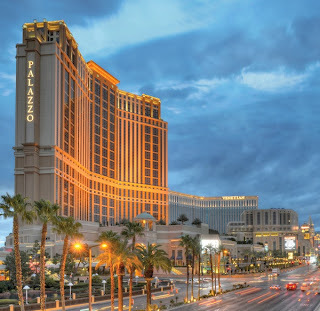 The corporation operating the casino cooperated in the investigation, and has promised to make extensive efforts to enhance its internal compliance program. United States District Judge William Pauley has entered a Protective Order in the criminal case against Viktor Bout associate, Richard Ammar Chichakli, prohibiting the public disclosure of certain discovery documents that are not already in the public domain from US vs. Bout, and from Richard Chichakli vs. Adam Szubin. The United States Attorney's office in New York had written the judge, requesting that he take this action. (1) The contents of the laptop computer seized from Viktor Bout, when he was arrested in Thailand. 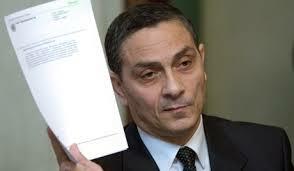 (2) Emails between Chichakli and a specified individual. (3) Third-party bank records, wire transfer records, and other financial documents. (4) Documents from a corporation, related to aircraft purchases involving the defendant. (5) Audio recordings and transcripts of conversations with certain witnesses. (6) Information, not in the public domain, regarding Chichakli's dealing with OFAC. After the case has concluded, including any appellate proceedings, all the information above, which is designated by the Court to be Confidential Information, and which will be held by the defendant's standby counsel (he is representing himself in this case), shall be returned to the United States Government, including all copies, or destroyed. Some of the discovery in the case appears to be sensitive information, and is being withheld from public dissemination, probably to protect American intelligence services. It will, however, be available to Chichakli and his counsel, in connection with his defense. * Protective Order entered 23 AUGUST, 2013, Case No. : 09-CR-1002-WHP (SDNY). 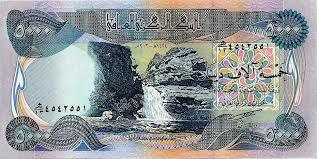 Currency flight continues unabated from Iraq. Customs & Border Protection Officers at Detroit Metropolitan Airport seized $271,463, in US & Iraqi currency, from two travelers arriving from Amman, Jordan, after they failed to declare the cash in their luggage. Hekmat Bahnam & Hedeel Bahnam, Iraqis residing in the US, were reportedly charged* with Bulk Cash Smuggling and Failure to Declare. 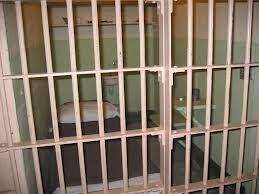 The defendants arrived via Montreal, on a Royal Jordanian flight. * Case No. : 13-mj-30516 (ED MI). A bill introduced in the House of Representatives (HR 1687) will, if it becomes law, allow the United States to impose severe sanctions on certain Latin American PEPs who engage in serious human rights violations. Known as the Countering ALBA Act of 2013, the bill is specifically directed against those countries who are members of ALBA, an association of left-leaning national governments whose domestic policy is basically undemocratic, and who have an extensive history of engaging in human rights abuses of their citizens. (A) Ineligibility for US visas. (B) Blocking of property in the United States. (C) Prohibitions on conducting financial transactions in the US. 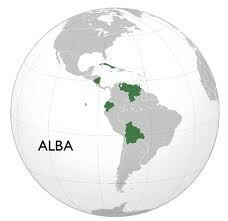 The sanctions can also be imposed upon officials in ALBA countries that transfer goods or technologies that facilitate human rights abuses, and those that enforce censorship there. Once imposed, the sanctions will for all practical purposes, be for an indefinite term, for they cannot be lifted until the offending country releases all its political prisoners, ceases violence, unlawful detention, torture and other abuses, and installs an independent judiciary. Banks whose clients include Latin American PEPs from the above countries should monitor the progress of this legislation through Congress, for some of their clients may thereafter be sanctioned, without any prior notice, which could become a public relations nightmare for the bank, as well as result in a major exit of clients to your competition. If there are PEPs banking with you, who are known to be involved, directly or indirectly, in human rights abuses, especially those from Venezuela, you would be well advised to handle the situation sooner, rather than later, lest some enterprising journalist blows the whistle on your clients' identities, angering the expats from that country who live in the United States, and possibly alienating some of your client base. Frankly, the income you derive from those clients is not worth the risk of reputation damage. Remember well the lessons of Riggs Bank, ladies & gentlemen. 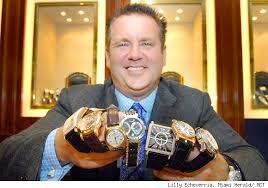 WHEN WILL BILLION DOLLAR PONZI SCHEMER QUIETLY GET HIS SENTENCE REDUCTION ? Former Fort Lauderdale attorney Scott Rothstein is probably one of the most despised individuals in Florida, after it was revealed that his investment program (Ponzi scheme) had defrauded victims out of more than $1.2bn. As the consequence of his crimes, he drew a 50-year sentence. Federal law requires him to serve at least 85% of his sentence before he can be released, which should be of some comfort to his victims, but he may be getting out of prison earlier than they want, which may promote hard feelings on their part. They may feel that justice was not served, and they may be right. 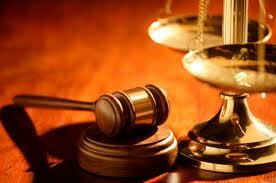 this motion until the defendant's cooperation is complete." Motion at 1. "Upon completion of the defendant's cooperation, the government will file a motion for a hearing at which time the government will advise the Court of the nature, extent and value of the defendant's cooperation." Motion at 2. Rothstein's cooperation may earn him a sentence reduction, which will probably be granted without any mention of it in the media, meaning that many of the victims may not learn about it. While he did provide valuable assistance to the prosecution, including at least one case where he wore a concealed audio device, to snare an alleged organized crime figure, the victims do not want this Ponzi schemer to get favorable treatment, due to the enormity of his crimes, and the damage that he did to them. (1) He was the target of a sting, convicted of a "non-crime," and tricked by the United States Government into making anti-US statements, in a case began by the White House, or the NSA, and carried out by the Drug Enforcement Administration (DEA), for purely political reasons. 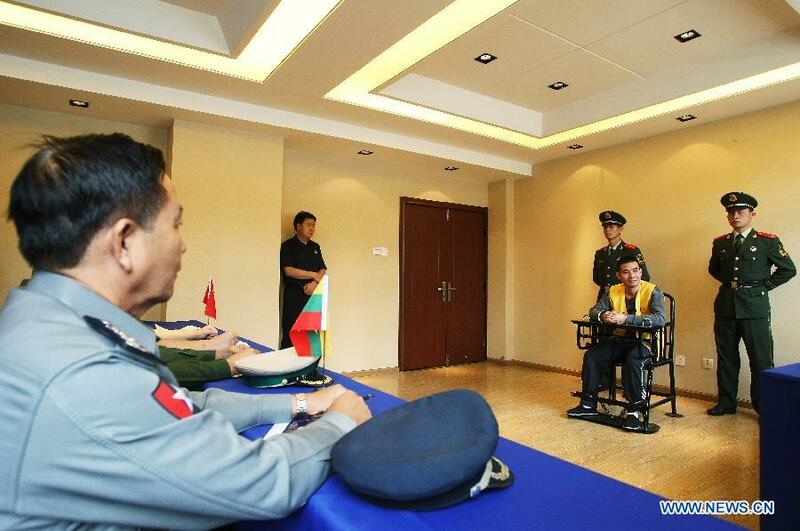 (2) He was the victim of a "vindictive" prosecution. The argument of the United States: Bout was targeted as a national security threat, because he posed a very "clear and present danger" to Americans. Questions from the three Federal Judges, sitting on the panel, reportedly seemed to indicate their skepticism with Bout's arguments. When the ruling is published, we shall immediately analyze it, and report it here. What if it was you in that chair ? Court testimony in the corruption trial of disgraced Chinese leader Bo Xilai has revealed that he embezzled government funds, and took bribes, that totaled the equivalent of $4.4m . You would do well to remember that, the next time a prospective bank client who professes to be a wealthy Chinese businessmen comes in to open a new account relationship at your Western bank. 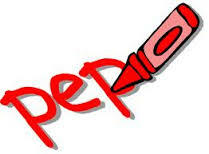 Is he really a PEP, and has he artfully concealed who he is fronting for ? If you bank a number of customers like him, it might be prudent to retain the services of a good Hong Kong investigative firm, to separate the legitimate clients from the PEPs. One more item about China and risk; you certainly are aware that a British businessman, and his American wife, both engaged in a China-based risk management firm, have been detained by the authorities, on the patently bogus charge that he once did contract work for a foreign pharmaceutical firm now accused of bribery. Some observers now claim that the case was orchestrated to give local Chinese companies an advantage over their foreign competition in the Chinese marketplace. Finally, not to intentionally frighten you about China risk, but friends and family of Bo Xilai claim that not all the proceedings at his trial are being transcribed and released to the outside media. They specifically state that Bo was subjected to literally a hundred hard interrogations, during which he fainted at least 27 times. If you are working in China, or you have staff who are, you may want to factor this type of treatment into your risk rating for engaging in business in China, where your company maintains an office, and staff, there. If you have never been interrogated, it is not an experience that I recommend, unless you have a very strong personality, and the ability to stand up under pressure. Today's announced agreement, between the foreign ministers of Venezuela, and the Palestinian Authority, through which Venezuelan will sell the Authority oil "at a fair price," is just another patently transparent effort, by Venezuela, to assist Iran in evading global sanctions on Iranian oil. It is an insult to the intelligence of those nations that have imposed the sanctions, and probably originated among Venezuela's Cuban advisers, who are actually running many Venezuelan government agencies. Don't they teach geography in Cuban universities anymore ? Any economics student will tell you that the costs of shipping oil across the Atlantic, and through the Mediterranean would make the sale prohibitive, for Middle East consumption. Iran has a large number of tankers, lying within its territorial waters, all warehousing oil that it cannot sell on the world market. 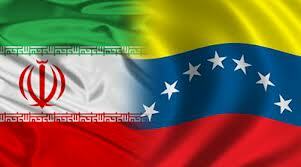 Rebranding it as of Venezuelan origin, then reflagging some of its tankers and changing their names, is easy for Iran to accomplish, as it has been playing a cat-and-mouse game of sanctions evasion for years, and it is a short hop to the Palestinian Territories, but it is really going there ? Of course, the real goal here may be to have the "Venezuelan" oil quietly sold by the Palestinian Authority, without delivery for local consumption, thereby assisting Iran in dumping its oil products on the consuming countries, who may just buy the ficticious origin. Wherever the oil ends up, rest assured that any objective analysis will show that it was taken out of the ground in the Islamic Republic of Iran. A fraudster who falsely claimed that he had seventeen years' stock trading experience has been charged with 40 counts, including wire fraud securities fraud and money laundering, in a $30m Ponzi scheme that targeted members of the Haitian exile community. George Theodule* alleged that he could double their money in 30 to 90 days. The defendant reportedly encouraged his victims to form investment clubs, so that small investors could bundle their money into large sums. he had previously been named in a civil lawsuit, filed by the Securities & Exchange commission, to put an end to his fraudulent activities. *United States vs. Theodule, Case No. : 13-cr-80141-KAM (SD FL). IS YOUR BANK CLIENT A "NATIONAL SECURITY CONCERN," AND YOU ARE UNAWARE OF THIS FACT ? Some of your bank clients are deemed national security risks, but the US Government agency USCIS does not feel that it has to share that information with you. Information about citizenship applicants whose cases are placed into a little-known American immigration track, designed to identify possible terrorists, and to deny them US citizenship, through indefinite delays, is not available to the public, with the result that bankers do not know which of their clients are considered "National Security Concerns," and are thus unable to adjust their own internal customer risk levels accordingly. (1) Has a record of residing in, or traveling through, jurisdictions of known terrorist activity, or usual travel patterns; or large-scale transfers or receipt of funds. (2) Is a close associate of another subject or National Security Concern. 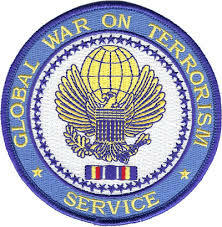 (3) Is a member, or participant, in any organization that engages in suspected terrorist activities. (A) Does the client have legal permanent residency (green-card holder) ? (B) has he applied for US citizenship ? (C) has his application been in process for several years, with no end in sight ? If so, his application may have been sidelined, indefinitely, as a person of concern. This method is not always foolproof, but is just one of many practical suggestions put forth here to aid compliance officers. Always look at where the client is from; both the Middle East and Latin America qualify under (1) above, and examine all other factors, before making an informed decision. DOES BO GUAGUA HAVE BO XILAI'S STASH OF US CURRENCY ? (1) Where is that cache of US Dollars now, and does the son, Bo GuaGua, have access to it ? (2) How did a Chinese PEP acquire a large load of dollars ? Did he accept bribes or kickbacks from American-based companies seeking to do business in China ? (3) How deeply was Bo GuaGua involved in the corruption ? There has been testimony, from Chinese businessmen, that he accepted "gifts" amounting to a large sum, from them. What else did he do, and did he accept illegal cash payments, outside China, in the UK or US, on behalf of his father ? (4) Are there any hidden real estate, or bank account, assets, of the Bo family, in the UK or the US ? Isn't it ironic: the son of two obviously corrupt Chinese PEPs is admitted to one of America's most prominent law schools, notwithstanding that there are questions about how his education has been paid for, about his acceptance of expensive gifts, from Chinese businessmen, and about his own conduct. 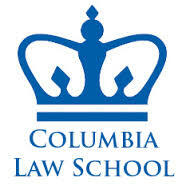 I guess this means that Columbia Law School admissions officers do not perform due diligence investigations on their applicants. Reliable sources within the Republic of Panama have indicated that the government has reopened the criminal investigation against the imprisoned Colombian Ponzi schemer, David Eduardo Helmut Murcia Guzmán. The focus is reportedly upon those Panamanian businessmen who received significant portions of the $2bn Murcia obtained from his victims, who were supposed to invest it on his behalf, but who stole those funds when Murcia was charged with criminal activities in Panama, Colombia and the United States. Colombian authorities are also looking into the individuals who conspired with Murcia, as well as additional suspects involved in laundering the Ponzi profits. Murcia's Panamanian associates purchased a substantial amount of real estate, yachts, and luxury automobiles, on his behalf, but later absconded with those assets, rather than hold it for him in trust, as he was led to believe. Many of those properties have been identified, and they are now held in the names of Murcia's former associates and advisers, who are now powerful people in the Government of Panama, and wealthy Panama City businessmen. As for Murcia, he is currently serving a long prison term somewhere in the United States, but his whereabouts are unknown; some sources say he is in the Witsec [Witness Protection] program, but others indicate that he has been released, due to the quality of information he gave to US law enforcement, and that he is living anonymously in America. One should assume that he is unhappy with those trusted advisers who were the thieves. Is the new investigation simply was way to release the increasing US Government pressure ? Will it end without any criminal charges being filed against anyone ? We cannot say, but some prominent businessmen in Panama are probably having trouble sleeping this week. 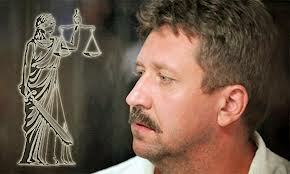 Three members of the United States Attorney's Office have sent a letter to the trial judge, in the Richard Chichakli case, asking the Court to enter a Protective Order restricting the defendant's public diusclosure of recordings and transcripts, bank records, and other documents, and to the contents of Viktor Bout's laptop computer, which was seized from him in Thailand, at the time of his arrest in March 2008. Apparently, some of the contents of Bout's laptop were admitted as exhibits during his criminal trial, and became part of the public record, but there is other information, being disclosed to Chichakli and his attorneys, pursuant to Rule 16, Fed. R. Crim. P. before trial. If you have not seen these websites, Chichakli has disclosed a large amount of information about Bout on the Internet, in the past, including details of a Federal civil suit he filed against Adam Szubin, as head of OFAC. The Government has asked the Court to limit Chichakli's additional disclosure of information from the Bout laptop to what was included in three specific previous disclosures already in the public domain. (1) The application for a Protective Order, was denied, but the Government was "directed to include an exception for documents that are in the public domain, without regard to who placed them there." The Court declined to enter such a restrictive Protective Order, unless the restriction placed upon Chichakli, that he was limited to those three specific examples from which he could draw evidence, was eliminated, in favor of an exception for any documents in the public domain, regardless of who posted them. (2) "The Government is directed to provide a further explanation regarding the necessity of including in the Protective Order documents relating to Chichakli's inclusion in the SDN* list." Was the Court tactfully saying that the Government went too far in its request m? It is hard to say, but we will look closely at any amended request that follows. (A) What is there on Viktor Bout's laptop computer that the Government does not want to be publicly disclosed by Chichakli ? Remember Bout's Russian attorneys are claiming he was the victim of Entrapment, but is there something else ? (B) Is the anything in the Rule 16 Discovery that might indicate that the now-known DEA use of NSA or CIA surveillance assets occurred, either in the Bout, or Chichakli, cases ? Specially Designated Nationals and Blocked Persons List. Chichakli was sanctioned by OFAC in 2005. WAS FAILURE TO DISCLOSE DEA SOD SURVEILLANCE TO VIKTOR BOUT'S ATTORNEYS A BRADY VIOLATION, AND WILL HIS CONVICTION BE REVERSED ? The flap, about the Drug Enforcement Administration's SOD, or Special Operations Division, which reportedly improperly used NSA and CIA intelligence, and his in by attributing it to other sources, may reach the Viktor Bout case. Bout was convicted of conspiring to sell surface-to-air missiles to individuals whom he believed were members of the FARC, so that they could be used against American military targets in the Republic of Colombia. Forget a minute about the entrapment defense, for frankly that doesn't fly unless the individual has no propensity for criminal conduct, and Mr. Bout broke weapons laws in more countries than you can count. The problem is, he could conceivably have his conviction set aside, if newly discovered evidence shows that the DEA made the case, based upon NSA surveillance that was not disclosed in his criminal case. For that we have to thank that smart soul over at DEA who had the bright idea to conceal that fact from the lawyers, prosecutors and judges in the cases that were developed through illegally-obtained evidence. If Bout's conviction is set aside, those in command should be held accountable, and I would like to have their names, please, so that they don't get high-paying jobs in the private sector. The lawyers for Scott Saidel, Kimberly Rothstein's personal attorney, who is awaiting sentencing for his involvement in efforts to hide assets of the Ponzi scheme, are trying to reduce his offense level, and their motion reveals another important reason why professionals, including bankers, must discover, early on, any Ponzi schemers in their client base. Otherwise, they may face enhanced penalties, due to what are referred to as "Special Skills." Saidel, who had pled guilty to conspiracy to launder money, obstruct justice, and tamper with witnesses, has argued, through his counsel, that he did not utilize Special Skills to move the money, and that he advised his client, Kimberly Rothstein, not to ask her imprisoned husband, Ponzi schemer Scott Rothstein, to lie under oath. Saidel says he told Kim not to do that. Apparently there is a dispute over who said what to who, and when. Remember, a friend of Kim Rothstein is also a defendant in the case, and contesting the facts as the lawyer has related them. Now we see how differences in the memories of the Ponzi players, and their attorney, who is now also a defendant, complicate the amount of prison time that the attorney may receive. 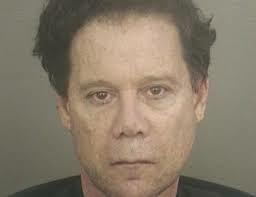 Whether the lawyer has altered the true facts, in a self-serving manner, to minimize his involvement, and therefore, potentially, his sentence, is not known, but you as a professional should never facilitate any criminal conduct that you know to be occurring, lest you be facing Federal Prison time, like Mr. Saidel. If you have any suspicions that a client is engaging in a Ponzi scheme, confirm your facts through independent investigation, and take immediate action, in line with your lawyer's advice, to disengage from the client, and, when so advised, disclosing what you know, in the appropriate forum , or to the relevant agency. The UK Fiscal Conduct Authority (FCA) has levied a fine, in the amount of £525,000, upon Guaranty Trust Bank Ltd., a subsidiary of Nigerian Guaranty Trust Bank PLC, for multiple money laundering violations. Apparently, there was a 30% discount given, due to bank cooperation. (1) Failure in the bank's AML controls. (3) A failure to check customers against sanctions lists, and to inquire as to their possible PEP status. (4) There was no check on Source of Funds. Readers who wish to review the complete text of the 33-page document can find it here*. School records have reprtedly verified that Bo GuaGua, the son of two prominent Chinese PEPs, one convicted of murdering a British businessman, and the other about to go to trial for corruption, has been admitted to law school at Columbia University for the fall term. Since his mother drew a death sentence, later reduced, he has not been seen in Boston, where he resided while attending Harvard. When he left his apartment, he was accompanied by several unidentified US officials, which I find extremely disturbing. Why do Chinese "princelings," the children of important PEPs, many of of whose parents are suspected of corruption, get favored treatment at American ivy league schools ? The schools even often allow them to adopt an alias, lest their fellow students learn that their classmate's father is believed to be engaging in corrupt activity in China. Bo has not returned to China since his mother's arrest, nor has he given an indication that he will leave the United States. There has been no sign of the millions of dollars of illicit wealth that his parents obtained, through demanding bribes and kickbacks, which allowed Bo to live an extravagant life-style as a student. Does he have access to the money ? The tuition alone at the law school, $60,000, is three times the amount his now-imprisoned father, Bo Xilai, earned each year as a senior Chinese official. The question remains; did Bo GuaGua launder some of his parents' illicit wealth, and how much of it is in the United States and the United Kingdom ? The parents are believed to be worth several million dollars. 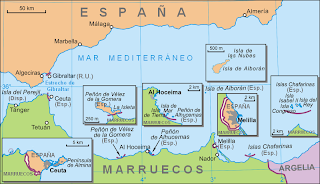 While the world's media is focused on tensions, created by Spain to focus attention upon its colorable territorial claims to the British Overseas Territory of Gibraltar, curiously there is no attention being paid to the status of the five Spanish enclaves in Africa. Yes, I said five, not just Ceuta and Melilla; there are three more that deserve mention, since the Spanish Foreign Minister is talking about vestiges of colonialism. 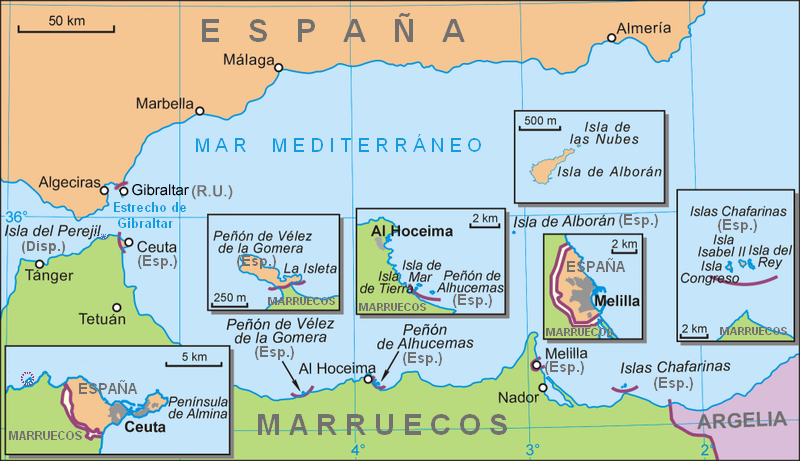 Spain says that Ceuta and Melilla both have a 100% ethnic Spanish civilian population, and therefore, under the UN provisions regarding the right of self-determination, are properly Spanish territory. I understand that, but what about the other three ? The above are all military installations; in prior periods, they were regarded as fortresses. My understanding of Spain's professed need to maintain these vestigial possessions is for reasons of Spanish National Security and defense. I ask you, in the 21st century, where Spanish fighter aircraft can reach any part of Spain within minutes, what does Spain need with old rock forts in North Africa, far from its territory, and on the wrong side of the Straits of Gibraltar ? Perhaps these territorial holdovers from the Spanish colonial era should be transferred to Morocco, whose territory they certainty are, before Spain again engages in saber-rattling over Gibraltar. People who live in glass houses shouldn't throw stones, in my humble opinion. 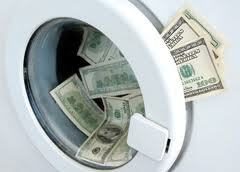 WILL FEDERAL MONEY LAUNDERING CONVICTIONS BE SET ASIDE, DUE TO UNDISCLOSED DEA USE OF NSA INFORMATION ? It has already begin: attorneys for criminal defendants have started to file motions in court, seeking telephone records, obtained by the National Security Agency (NSA), and used in criminal investigations by the DEAs Special Operations Division. The information, which was not disclosed to defense attorneys in criminal cases, was required to be made available, as it could be exculpatory. The landmark US Supreme Court case of Brady v. Maryland requires that any evidence that is material to either guilt or punishment must be disclosed. It has been asserted that the Drug Enforcement Administration concealed these telephone records, by falsely stating that it was discovered through alternative, or "parallel" sources, and even hid its origins from prosecutors and judges. There are a substantial number of federal money laundering convictions in the United States, where the defendants are still incarcerated, serving long terms of imprisonment. Will the courts set aside some of those convictions, forcing the United States Attorneys who handled those matters to re-try the cases, and will the defendants be released, pending a new trial ? These are serious considerations, and one wonder who the Department of Justice will hold accountable for what could turn out to be a serious denial of justice. 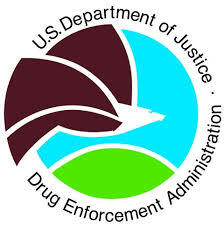 Someone at DEA, at the highest level, ordered this illegal policy. 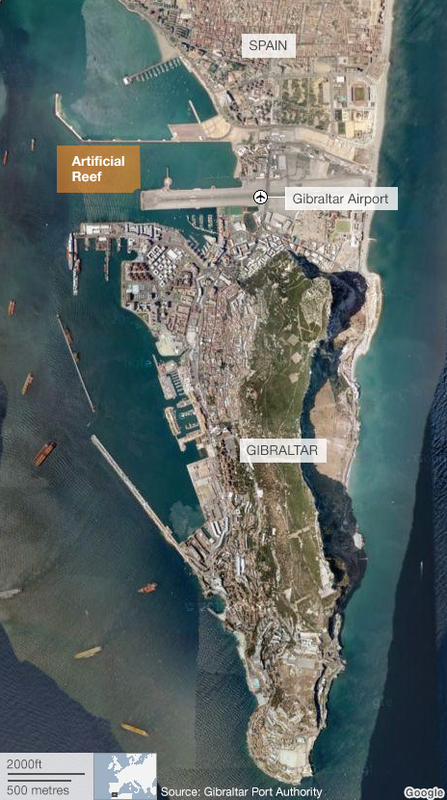 The British Overseas Territory of Gibraltar is reporting that a large number of Spanish fishing vessels, accompanied by private yachts, entered Gibraltarian territorial waters today, and were met by local and Royal Navy forces, further raising tensions with Spain. The protests are reputedly over the building of a man-made reef, which could interfere with illegal Spanish fishing activities on the wrong side of the maritime frontier. Britain has dispatched a warship to Gibraltar, due to the nature of the political situation. 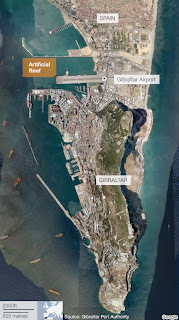 Recently, Spain has been more vocal in its campaign to claim sovereignty over Gibraltar, which was ceded to the United Kingdom in 1713, as part of a global settlement of claims. It has unduly delayed travelers at the joint frontier, and threatened to restrict access to its airspace, both of which actions violate European Union guarantees of freedom of movement. Spain, which claims Gibraltar is a lingering relic of colonialism, still maintains two enclaves in Africa, in Morocco, which it shows no signs of relinquishing. 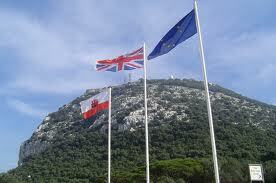 It has been suggested that this Spanish focus on Gibraltar is a political ploy to divert the attention of the Spanish people from their dire economic status, particularly its high unemployment rate, and that Spain's claim has not legal merit, due to the treaty that established Gibraltar as British territory. 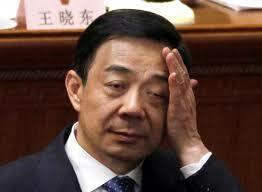 WILL UPCOMING BO XILAI CORRUPTION TRIAL FURTHER FOCUS ATTENTION ON PRINCELINGS ? 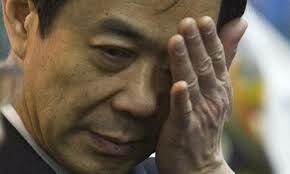 On Thursday, the corruption trial of fallen Chinese leader, Bo Xilai, is scheduled to begin. While it may reveal more details of the dark art of corruption of one senior Chinese PEP, more important to Western compliance officers is the clear and present danger posed by the so-called princelings, the offspring of China's senior leadership, who have been busy accumulating obscene amounts of wealth, through bribes and kickbacks. I have previously warned readers of this blog of the hazards of banking dirty PEP money from China. Whether you are bound by the Foreign Corrupt Practices Act, the Anti-Bribery Act, or another similar law, it is clear that PEP wealth, if the owner is a Chinese national, is often illegally obtained, and as a compliance officer in a Western bank, you must act as the gatekeeper, and keep it out of your institution, for both business, and reputation damage, reasons. Enhanced Due Diligence should be required on all high net-worth Chinese banking overseas, for you do not know whether the client is a disguised PEP, or a front man (or woman) for a corrupt PEP; There's more. If I was a money launderer for a wealthy, corrupt Chinese PEP, I would find a source for a passport, from Singapore, Malaysia, Taiwan, or some other jurisdiction where Overseas Chinese reside, and have my client proffer that to an EU or US bank, to lessen suspicion that he was indeed a PEP. I would also form a front company in a jurisdiction, outside the Peoples' Republic, to further bolster my client's fictional profile as a businessman. As US government regulatory, and law enforcement, agencies, delve deeper into potential crimes that may have been committed, by US companies, with Chinese PEPs, princelings, or their associates, it is in your best interests to identify, interdict, and exit such potentially damaging banking relationships, before their names appear in the New York Times. Since 9/11, the United States has spent billions of dollars on what President George Bush called the Global War on Terrorism. While this seemingly unlimited funding of counter-terrorism programs has resulted in the real-time early interdiction of terrorist operations, at the same time, budgetary cutbacks in counter-drug programs of Federal law enforcement agencies have been widespread. What this means is that, operations and staffing, especially outside the Continental United States, has been reduced; individuals are not being sent to replace retiring or transferred staff members, and programs are not being expanded. US law enforcement teams, in Latin American countries that are important transit areas, for drugs or drug profits, often operate with such a small staff that they simply cannot handle the volume of potential investigations, and are forced to choose between targets. While I completely agree that counter-terrorism must be given absolute priority for funding, since there is a marked reduction in what is available for government agencies, due to budget considerations, counter-drug programs should not take a hit. Unfortunately, specially designated global terrorist organizations, operating in Latin America, are deriving much of their income from narcotics trafficking, Those "profitable" operations, run by the FARC, Hezbollah, and other designated groups, should be investigated by counter-drug specialists, as they are best qualified for the job. Fund the drug trafficking investigations of terrorist groups by funding counter-drug and anti-money laundering programs, please. Otherwise, terrorists will continue to raise most of their cash through narcotics trafficking activities. A Miami-Dade County Circuit Court judge has dismissed a high-profile case that exposed the dark underside of Venezuelan governmental corruption, on technical grounds. The action, which has been previously reported on this blog*, was a case filed by Venezuelan businessman Tomás Vazquez Estrella, against two individuals accused of embezzling, and transferring, funds from his company, to their control, in Miami. The cause of action is corporate theft, perpetrated by an employee, with the assistance of a confederate. There has been a great deal of public interest in the related criminal case, where a Venezuelan who sought to extort money from Vazquez, to pay a government official, was convicted, and served time in a US Federal Prison for his crime. The case has served as a reminder that Venezuela now ranks as the worst country in the Western Hemisphere for official corruption, having surpassed the previous leader, the Republic of Haiti, which many observers now consider a failed state. (1) There is an adequate alternative forum, namely the courts of Venezuela, which possess jurisdiction over the case. (2) Both public and private factors favor Venezuela. Discovery would have to be taken in Venezuela, and Venezuelan law would have to be applied in any Florida case. The Court mentioned that there are over one hundred potential witnesses, most of whom reside in Venezuela. There apparently is already an ongoing case in Venezuela. (3) Suit can be brought in Venezuela without inconvenience or prejudice to the parties. Unfortunately for the plaintiff, he cannot now return to Venezuela, to litigate the case, as a purely politically-motivated criminal indictment has been reportedly brought against him there. His business was arbitrarily confiscated by the Venezuelan government, without cause, and in violation of his rights. Finally, anyone who thinks that the rule of law exists in the courts of Venezuela today has not paid attention to the court rulings since 1999, when Hugo Chavez' government began to order the judges to follow their orders, and not the law. There is not, nor will there be, any justice in Venezuela, so long as the present regime remains in office. Unless you are an ally of the present government, you will never prevail in a Venezuelan court, even if the law is on your side. Sr. Vazquez; the Miami court, employing the strict letter of the law, has denied you any chance of recovering your losses from the defendants, Moisés Wahnon Mahman, and Leonor Sarmiento Camperos, who have reportedly invested the money Sarmiento embezzled in Miami-Dade County. has justice been served ? I am afraid not. ** Order Granting Defendant Moisés Wahnon Maman's and Leonor Sarmiento Camperos' Motion to Dismiss, based on Forum Non-Conviens. Readers who wish to view the complete text of the Order can find in in the Official Records of Miami-Dade County at ORB 28773, Page 2765. Go to the Miami-Dade Clerk of Court Online Services website, and select "Official Records" for access. Steven Steiner, convicted in US District Court in Fort Lauderdale earlier this year of laundering $15m in illicit profits from the Mutual Benefits Corporation Life Settlements Ponzi scheme, was sentenced to fifteen years of imprisonment, by a Federal Judge. A Vice President of the company, and an owner, together with his two brothers, Steiner not only purchased real estate with his share of the Ponzi profits, he attempted to conceal his assets from the court-appointed receiver, who was seeking to accumulate funds to repay victims of the billion dollar scheme. Reports say that the US Attorney asked the Court, at sentencing, for 22 years; defense counsel requested a five year sentence, arguing that Steiner's long involvement with charitable organizations was a major mitigating factor. He, together with surviving brother Joel Steinger, face a major criminal trial in September, over the massive Ponzi scheme that they operated for a decade. The sheer volume of the fraud could result in what will, in effect, be life sentences for the pair. the case gave the life settlement industry a permanent black eye, which some observers believe it has not yet recovered from. Readers who wish to review the text of the Intelligence Assessment of the Federal Bureau of Investigation, entitled Bitcoin Virtual Currency: Unique Features present Distinct Challenges for deterring Illicit Activity, you can find it here. The document is Unclassified. (1) President Martinelli, who leaves office next year, has reportedly not only chosen his successor, (from his own party, of course) but he is carefully filling the agency that monitors election results with his own people. There is a real concern in Panama that the results of the upcoming 2014 election will be rigged to give Martinelli's candidate the office, whether he wins the popular vote or not. Election fraud has become a real possibility, especially given the notorious level of corruption in the Supreme Court of Panama, which would rule on any contested election issues. The response of the population could result in destabilizing Panama, meaning that the economy would suffer. (2) The treasury of the Government of Panama has been so severely depleted, that it can no longer consistently pay its civil servants each month. Observers have accused the leadership of the loss of approximately USD$800m, which cannot be accounted for, and which has pushed the country deep into debt. There is a plan to sell government bonds in the EU and North America, but it faces obstacles. 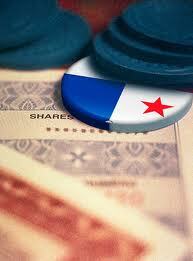 Fiscal problems could be reflected throughout Panama's economy. These fiscal and political issues clearly raise risk levels at this time. You should examine the facts, and make an educated decision, on your own, as to whether to raise Country Risk for Panama, but I suggest that it is justified. Most of the Western Hemisphere's most prolific (and effective) money launderers are well known to US law enforcement agencies. The problem is, none of these agencies is in any hurry to arrest them, which allows these career criminals to continue to practice their illicit skills in the financial institutions of the world, without being detected. In truth and in fact, through ongoing investigations, and the cooperation of criminal defendants seeking to reduce their ultimate sentences, America has acquired the identities of the major money launderers, but it chooses not to indict or arrest them; here's why. The current philosophy appears to be: let them operate freely, observe their activities, and collect information on their prominent clients. The agencies then apparently classify the names of the laundrymen as Law Enforcement Sensitive, designating it as information from an ongoing investigation, and do not make it available outside the law enforcement community. This means that the banks where they move money never learn who they are. This does not well serve the American financial community, and actually facilitates money laundering. Rarely are experienced money launderers arrested, as law enforcement policies dictate that they leave those criminals out there, while monitoring their transactions and travel. Of course, due to budgetary limitations, 24/7 coverage is impossible, and many of the transactions are never seen. One Venezuelan attorney, who was engaged in massive money laundering in the United States, was quietly granted immunity from prosecution, in exchange for information on major criminal targets. He then was allowed to remain in the US, where he then opened several restaurants, using his illicit wealth, and the public to this day does not know his true criminal background. The bank that assisted him in moving money was never charged with a crime, and the other depositors are blissfully ignorant about their bankers' involvement; This is clearly wrong. I suggest that law enforcement change its policies; when money launderers are identified, collect the evidence against them swiftly, and charge them. Do not let them operate for years, while you slowly collect information on their customers, for possible indictments. Finally, stop concealing this critical information on the identities of known money launderers from the financial institutions that they are exploiting. Evidence has emerged that indicates that several of America's largest financial institutions are profiting from the international sanctions against Iran, by gaining Iranians as clients for their credit card offerings, using banks located in the Middle East, and in the independent, former Soviet republics in Central Asia. Since the clients are only indirect customers of the US banks, there is no strict violation of the letter of the laws on sanctions, though the spirit of the law has certainly been broken. How can this happen, you ask ? Though the end users are Iranian nationals, the direct contract is between the US and a bank in, for example, Azerbaijan, Armenia, or even New Zealand. This cute arrangement allows the American banks to sidestep the sanctions, and earn a healthy profit, all hidden from public view. Is this not unethical and illegal ? What do you think ? Remember that a number of large American corporations, and Wall Street firms, openly traded with Nazi Germany, prior to the entry of the United States into the Second World War on 8 December, 1941. Since the Iran sanctions are the functional equivalent of economic war, should US banks really be reaping excess profits from Iranian nationals ? I think not. We have previously disclosed on this blog that one major credit card supplier has placed three million cards in Iran. Unfortunately, due to the increased involvement of big US banks, the number is much larger than it was when that article appeared. This brings us to the question: Why is the US Treasury Department no taking action, against both the banks and the credit card companies ? If hostilities do erupt between the United States and Iran, over the illegal WMD and ballistic missile programs, will we find out later that American companies aided and abetted our enemy, and can anyone say Excess Profits Tax ? * illustration for educational purposes only; not a real credit card. I first saw this happen three decades ago; a client, obscenely wealthy, due to narcotics trafficking, spends an inordinate amount of money on fine art, strictly as an investment. The art, which ostensibly smuggled out of Cuba in a diplomatic pouch, was held out to be an original work by a (deceased) prominent Cuban artist, Wilfredo Lam. When the client, a fugitive for more than twenty years, and now in custody and pleading guilty, offers the Wilfredo Lam as part of the plea agreement, and learned that the picture is an artfully-crafted fake, she must have been upset. 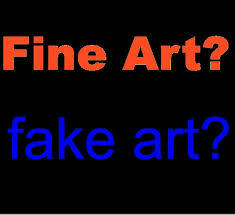 The Government of Cuba is known to employ a team of experienced art forgers, who turn out not only counterfeit works, passed off as originals, but bogus "unknown" works by such painters as Pablo Picasso, which have been "discovered" in Cuba, and art being offered for sale. Many of the victims are not traditional investors, but affluent career criminals, anxious to launder their illicit proceeds, through cash purchases of items that were represented to them to be investments which will only increase in value. The fraudsters take advantage of the criminals' arrogance, and generally convince them that no due diligence examination, or professional guidance by art professionals, is necessary. Since the criminal does not want to appear ignorant to anyone, he or she dispenses with any opinion on the bona fide nature of the artwork, so as to appear knowledgeable to all. Unfortunately, most of the art objects removed from Cuba are not rare finds, but merely counterfeit junk. Bankers, please do not accept it as collateral for any purpose. According to local reports, the Court of Appeal in Vilnius, the capital of Lithuania, has affirmed the extradition order entered earlier, upon the accused Russian arms trafficker, Dimitry Ustinov. He will now be sent to the United States, to face charges that he attempted to illegally export restricted military equipment. We have previously detailed the case on this blog. 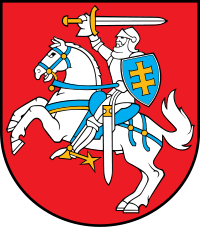 The Russian Government had reportedly unsuccessfully attempted to influence the Lithuanian proceedings, claiming that the United States improperly uses third countries to get personal jurisdiction over Russian nationals. Alexei Binitsky, the Moscow attorney who has held several news conferences regarding his client, Viktor Bout, might consider checking the record before advising the media about his client's case. For instance, he says his client's case will have Oral Argument on 22 August, but the official court calendar does not show entry entries for the Bout case anytime in August. OK, I know he is not admitted to practice in the United States, but he should have the facts for his information, before he again gets on the soapbox to act as an advocate for his client. Binitsky was quoted as saying that Bout will be transferred from "ADX Supermax in Orlando." Sir, that's where Disney World is; ADX is in Colorado, and his client is actually serving time in USP Marion. Somebody forgot to consult the US Bureau of Prisons website, apparently, to learn where his client is. I know that his American attorney of record, Albert Dayan, understands the constraints that lawyers operate under in the United States, but should not someone suggest to Mr. Binitsky that his zealous public advocacy, on behalf of his client, should have a factual basis, or at least a good faith argument, before he makes any more statements to the press. Something unusual is going on in the Federal criminal case against accused Viktor Bout money launderer, Richard Chichakli. The defendant's oral motion to represent himself, which has been universally reported by courthouse observers, is not supported by an order or filing. Though there have been several media statements that his case is going to trial in November, no trial date has been posted. The withdrawal of the two appointed private defense attorneys as counsel of record has not been the subject of any published order, and there are no new sealed pleadings in the file this week. 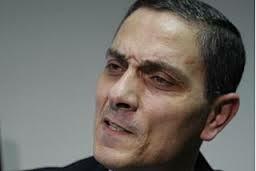 So I ask the question; is Richard Chichakli going to trial or not ? Is all this simply a smokescreen for his cooperation, and will we see additional indictments ? 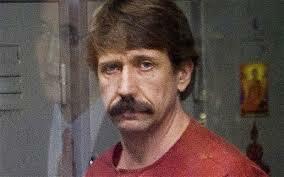 As Viktor Bout's primary financial officer, he has a lot of secrets to tell. Readers who have been following my work for several years know that I have written financial crime articles for two major AML/CFT database companies, over a total of eight years. My articles were not always well-received by certain staff members at those firms, because sometimes the individuals or entities I was analyzing were not profiled in the company's AML/CFT databases. Many of the subscribers would ask the nagging question: why doesn't the information Ken Rijock is writing about appear in the database already ? 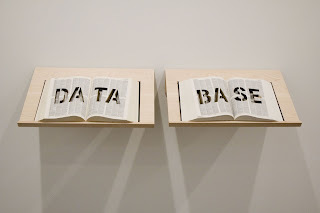 Obviously, there were deficiencies in the information contained in those databases. The reason for those gaps in coverage is simple: when you collect, and display, data via profiles, rather than by information, you will always come up short. By definition, there are not enough researchers on staff, at any AML/CFT database, to create new profiles, and update existing profiles, on all new information that becomes available through open sources, 24/7. It is a physical impossibility, and you will always be playing catch-up, without success. The answer, in my humble opinion, based upon twenty years of experiences in this field, is to use resources that focus on information, not on specific individuals or entities. Negative information on your subject is the primary form of intelligence that one must consider when making an informed decision on whether to on board a potential client. When there is no profile on an individual, you are totally in the dark, but in a system where the entries are made by negative information, and not limited to profiles, there are no fatal flaws. 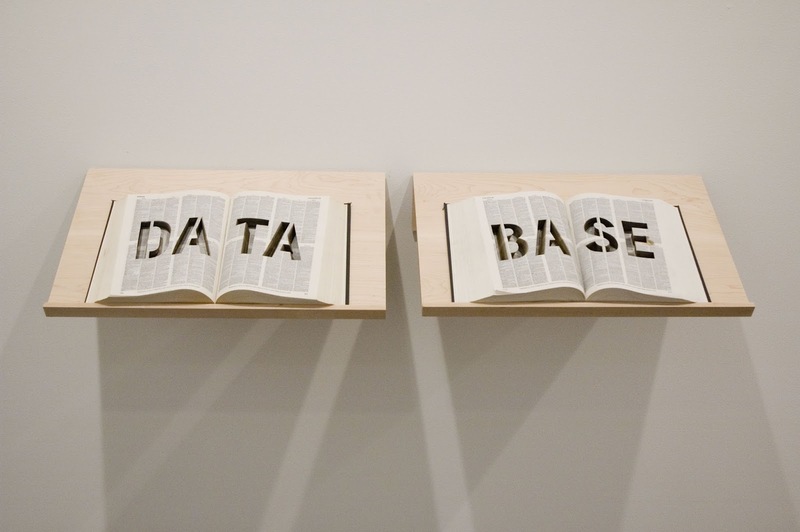 Is the profile method of displaying information on AML/CFT databases inadequate ? You be the judge, but the next time you read an open-source article, about a financial crime matter, and then see that the individuals and entities listed in the article are not profiled in your database, you need to switch to one that contains negative information. To do any less is folly. The shortcomings of profile-based AML/CFT databases are particularly significant for US-based compliance officers, in light of the American requirement that you have access to all information that is "knowable" when it comes to Iran. You as a compliance officer are expected to have all available information. You cannot afford to be on the wrong side of any criminal charges regarding violations of providing material support to Iran's WMD and ballistic missile programs, because you did not have information about sanctions evaders. If you were not aware before, that electronic surveillance has become universal in the workplace, the recent disclosures of NSA activities should pretty much confirm that fact. 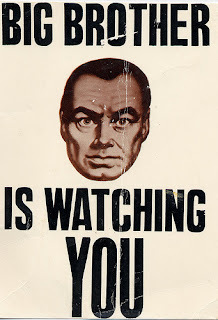 Remember also that some surveillance is illegal and unlawful, but it occurs nevertheless; Govern yourself accordingly. My personal favorite experience is from my Miami Vice days of the 1980s; A French client, who was a major drug smuggler, had fled the United States, just ahead of his probable arrest, eventually ending up in the French Antilles, where he could not be extradited under French law. He then held what I can only describe as a summit meeting of his lieutenants, where they met to talk strategy, in light of the newly-filed indictments pending against them in Federal Court. Somehow, an American law enforcement agency had learned of the meeting, in advance, and even confirmed the venue where it was to take place. Notwithstanding that it contravened French law, the agency wired up every room in the hotel, ahead of the arrival of the narcotics traffickers, and tape recorded each any every conversation that occurred. Obviously, the information recorded could never be admitted, because no court of competent jurisdiction anywhere had approved the wiretaps, but they were placed there nevertheless. I know this because, after their subsequent extradition to the US, the tapes were furnished to defense counsel prior to trial, as they could have contained evidence favorable to the defendants. It was extremely interesting to listen to the client tell his subordinates how he always, before operating in a new country, retained the best attorneys available to assist him. 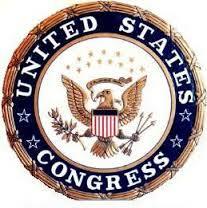 Now, these wiretaps were, on their face, illegal, but you cannot fault the agency for trying. The agents thought that they were going to get a window into the traffickers' strategies and tactics, and were willing to break the law to do so. Does the end justify the means ? Therefore, always assume, in 2013, that all your conversations and communications are being recorded, even during the mundane, routine parts of your life. Big Brother is indeed watching. While most observers have been concerned that the fighting in Syria will eventually spill over in Lebanon, especially along Sunni-Shiite lines, this week's announcement from the KRG could mean that the war might widen into Iraq itself. President Barzani, the leader of the autonomous Kurdish Regional Government, has threatened to intervene militarily in the Kurdish areas of northern Syria. Apparently, the designated terrorist group, Al-Nusra, has engaged Syrian Kurdish forces in the frontier areas of northern Syria, near the borders with Turkey and Iraq. 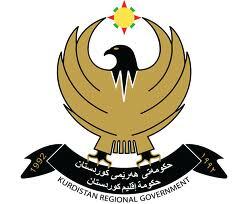 The KRG has a sizable military force, which is capable of inflicting serious damage upon Al-Nusra, and the KRG is an ally of the United States, which further complicates the situation. Any cross-border action, by KRG forces, could invite retaliation inside Iraq, whether by direct military acts, or terrorist tactics, either of which would seriously raise Country Risk for Iraq. (1) Conspiracy to provide material support to a Foreign Terrorist Organization. (2) Attempting to provide material support to a Foreign Terrorist organization. The defendants are accused for sending funds, via Western Union, for the use of Al-Qaeda, the Al-Nusra Front, and Al-Shabaab, in Iraq, Syria and Somalia. They also allegedly sought to recruit fighters for terrorist organizations operating in Syria. 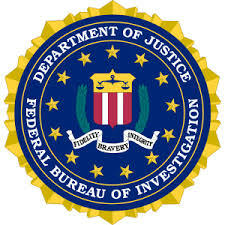 The investigating agency was the FBIs South Florida Joint Terrorism Task Force. * Case No. : 13-cr-20364-UU (SD FL). The case involving Viktor Bout's former "chief financial officer," and alleged money launderer, just got even more bizarre. Richard Chichakli's new request to defend himself, in his upcoming Federal criminal trial, has been granted by a Federal Judge. Though not a lawyer, Chichakli asserted that his two doctorates, and seven bachelor's degrees qualified him to act as his own counsel. he also alleged that his court-appointed counsel was too gentle to handle the matter, but stated no grounds upon which he reached that conclusion. The Court, while cautioning him about his choice of counsel, granted his ore tenus motion*, in open court. Does he really intend to go to trial ? We cannot say, but we will be watching. Chichakli faces money laundering, and other charges, arising out of the efforts of Chichakli and Bout to obtain aircraft, in violation of US sanctions. * There are no motions, pro se or otherwise, regarding this subject, in the court file, as of this date. A Federal Judge in Texas has found an accused money launderer, El Paso attorney Marco Antonio Delgado, competent to stand trial in two separate criminal cases.. Delgado is an alleged money launderer for a Mexican cartel, and is said to have moved $600m in illicit profits. 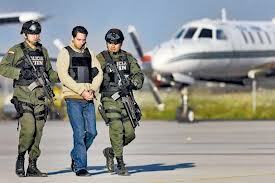 He is also charged with illegally diverting funds for a Mexican energy project. Rumors have it that his own lawyers had requested the psychiatric examination, (moving documents are sealed, so we have no way of verifying this information) because he had reportedly steadfastly refused to enter a plea in the case. Perhaps he feared his life would be in danger, should he cooperate with law enforcement, and any plea agreement would recite cooperation. Attorneys generally are aware of the consequences, when they assist law enforcement against particularly violent criminal organizations. The issue is moot, because he was found competent by the court. The court has, however, stated that he will be undergoing a neurological examination, due to a reputed head injury suffered while in custody. Was this a prosecutorial ploy to deceive his former clients ? We cannot say, but there are a large number of sealed pleadings in the court file. We shall continue to follow all developments in this matter, and report back to you. (1) That Bitcoin are money. "It is clear that Bitcoin can be used as money ... it can also be exchanged for conventional currency, such as the US Dollar, Euro, Yen, Yuan ... Bitcoin is an electronic form of currency unbacked by any real asset, and without specie, such as coin or precious metals." (2) That investments in Bitcoin constitute securities, under the classic test laid out in SEC vs. Howey. They are (a) An investment of money, (b) in a common enterprise, (c) with the expectation that profit will be derived from the efforts of a third party. Memorandum Opinion regarding the Court's Subject Matter Jurisdiction. The Ponzi schemer promised his clients a one per cent, per day, return on investment. All assets of Bitcoin Savings & Trust have been frozen by court order. 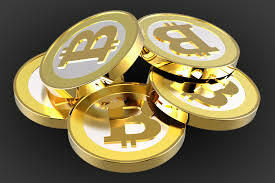 We have previously learned that Bitcoin dealers must register as MSBs, with both FinCEN, and state regulators. We now know that Bitcoin investments are securities, that it is the electronic, functional equivalent of money, and that it is, therefore, a form of currency, and thus able to be regulated. ** Case No. : 13-cv-00416-RC-ALM (ED TX). Note to readers: there are other articles posted on Bitcoin; use the search box in the upper-left hand corner of the page to locate them.